Academic classes meet based on the BCPS Middle and High School A Day / B Day Schedule rotation, which means that classes meet every other day. 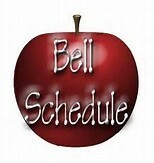 Electives (specials) meet based on Parkville Middle School's A-B-C-D Schedule rotation. Parkville Middle School follows a four-period per day schedule. Each student’s schedule is made up of four ninety minute mods (classes) per day. Three of the classes are academically-oriented, while one class will be an elective, such as band, art, or music.